Hello. 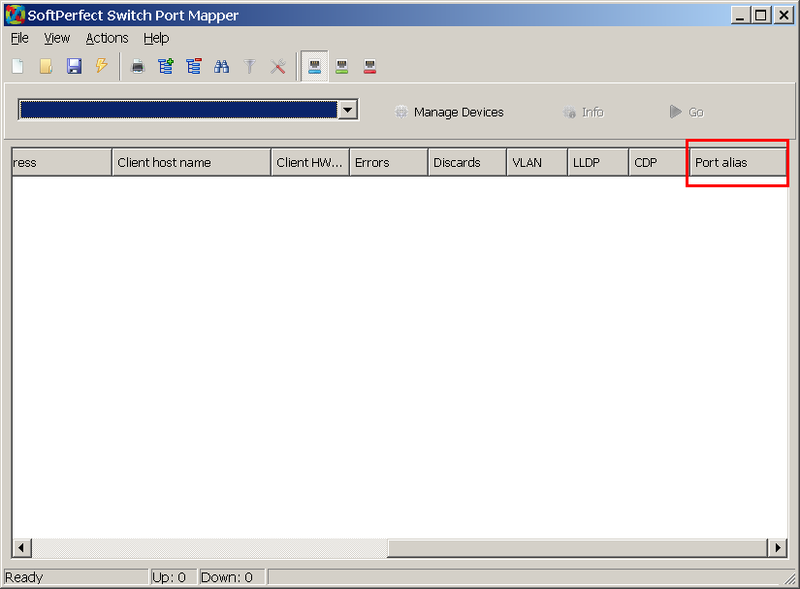 I was wondering if maybe there is an snmp command available that says what physical position the port is on the switch? Then I'd know if the ports are 8 on top and 8 on the bottom, or one of those thinner netgear switches with 16 ports all the way across in a single row. They could be labeled T1, T2, B1, B2 for top and bottom. It would be great if there was a column in your software that showed that! I never seen it so it might not exist, but its worth a try to ask me thinks! I've seen columns in other software that aren't in your app and vice-versa, so I know the columns in your switch port mapper aren't all the ones that are available. I wont post them here tho coz I think that's rude, you know? It could be the Port alias column. Did you check the last column in the list? Thanks! I did look at that and for 8 port switches, they just show the same numbers as the port numbers. Our 8 port switches are all single row. But my 16 port switches are usually 2 rows and I can't get info from them due to the trial I guess? I may not been clear before. Is that what port alias is for? The Port alias column represents ifAlias, whose description is rather ambiguous. It's same kind of alternative name in addition to ifName and ifDesc. Anyway, since it does not indicate the physical location of a port, it's probably in some other OID. It's pretty hard to determine what OID it may be though, without having access to the switch. You mentioned one switch has ports labelled as T1, T2, B1, B2. Could you perhaps run snmpwalk against that switch and send me the output?